At a time when the labour-market is failing as a source of security and identity for many, domestic tinkering persists as a resourceful occupation. Everyday practices of repair, invention, building and crafting that take place in sheds, back-yards, paddocks, kitchens and home-workshops are an important part of Australia’s informal economy and social cohesion. Moving between scholarly research and journalistic stories, this book documents domestic tinkering as an undervalued form of material scholarship, social connection, psychological sanctuary, personal identity and political activism. It mounts a surprising case for the profound value of domestic tinkering in historic and contemporary Australia. "A great book, a really interesting book." "Wilson is the perfect guide: insightful, witty and engaging. She has a gift for gently unpacking the minds of her fascinating and diverse subjects." "Smart, relevant and witty... this is cultural criticism at its best." — Jeff Sparrow, Guardian columnist, broadcaster & author. "An incredibly important book... a wonderful book." "...her writing is upbeat and delightful... Beyond the physical, tinkering has serious moral, economic and political lessons." "A length of wire, in my farm-boy childhood, could fix just about anything. This book has similar miraculous powers... Full of fascinating insights and fascinating people." "With great flair and originality, Wilson combines an incisive critique... with a loving homage. A great book. I loved it." "Wilson deftly peels back layer upon layer of meaning in this fascinating book. Humorous as well as thoughtful, her argument is elegantly borne out." 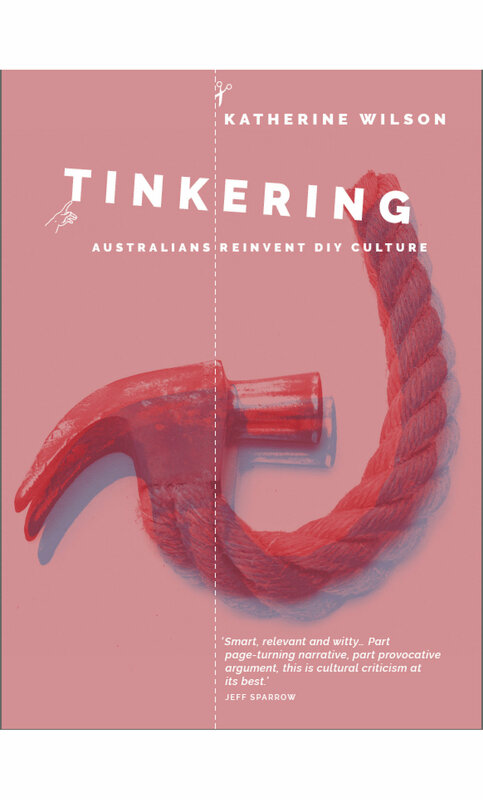 "An erudite and witty new book... Wilson mounts a compelling argument that tinkering is a growing cultural movement, and its moment is now." "Truly a pleasure to read. A thoughtful and erudite way to set the scene for the discussion to come." — Prof Susan Luckman, University of South Australia. "A rich world emerges in this well-crafted and well-researched book. An original study of maker culture. I thoroughly enjoyed reading it." — Prof Kirsty Robertson, Art & Museum Studies, Western University, Canada.